The advantages of lava stone combined with the practicality of a gas barbecue. Clas is a gas barbecue with characteristics that make it an interesting alternative to a traditional wood or charcoal barbecue, with the advantage that the food is cooked using the properties of lava stone. Lava stone is a volcanic rock that is heated by the flame produced by the gas, generating the heat necessary to cook the food like it was barbecued. The huge advantage compared to traditional wood barbecues is that it can maintain the heat much longer and slowly release it onto the food, resulting in a more uniform cooking. This is because lava stone is not consumed, it accumulates the heat and releases it while remaining intact. 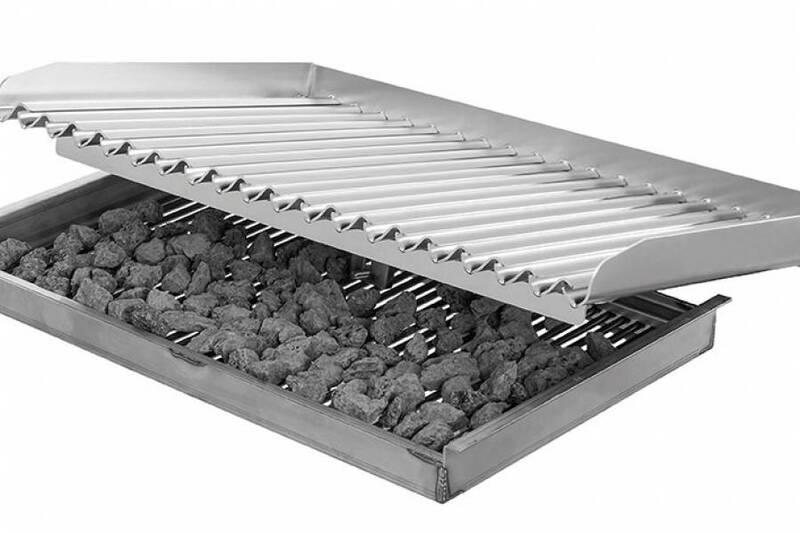 Fast, safe and easy to use, the Clas lava stone barbecue is a solution that takes advantage of the fire underneath by using a practical fuel such as gas. This makes it much faster to light up than traditional barbecues. The great practicality in preparing tasty grilled meat, fish or vegetables make Clas an ideal solution for those who still enjoy the pleasure of grilling, but want a healthy, more uniform and controlled cooking by taking advantage of lava stone. 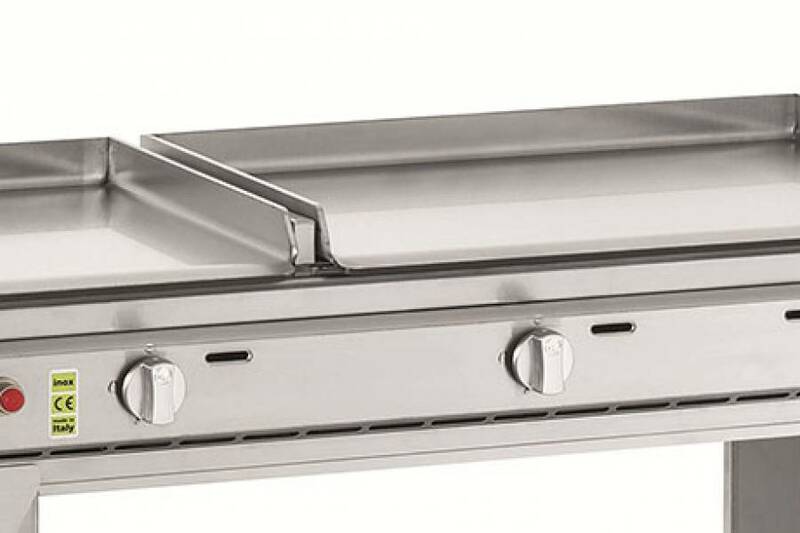 A professional gas barbecue with lava stonenon-drip cooking grill. Clas is made entirely in AISI 304 stainless steel, a material that is antibacterial, resistant to oxidation, and does not release odours onto the food; it is also durable and very easy to clean. Synonymous with solidity and robustness, Clas is a gas barbecue with lava stones manufactured according to professional standards. It comes with an AISI 304 stainless steel cooktop consisting of wavy non-drip strips with a thickness of 2 mm. The design and slope of the cooktop with thin strips was specially designed to not let cooking fat/oil come into contact with the hot lava stone, but to convey it into the front tray. 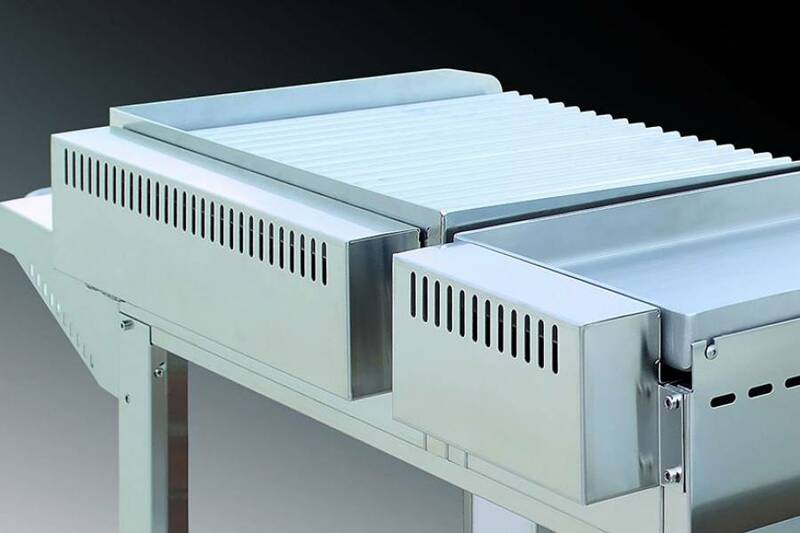 This important feature prevents the production of combustion fumes and flames that are not only annoying but can also be harmful as they carbonise the food. Four original and innovative cooking stations. 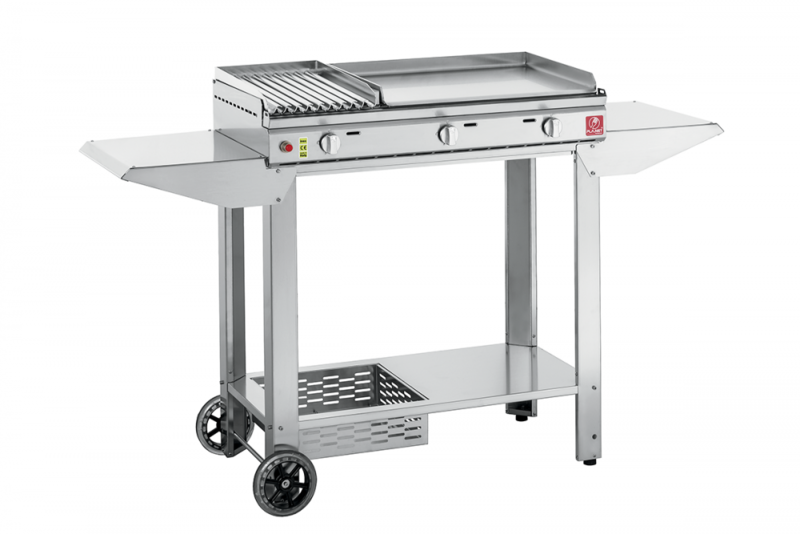 The Clas barbecue can be customised based on the needs of the customer and comes in two sizes: 80×40 cm and 55×40 cm (external dim.). Clas 80 mix (80×40) is the largest model of the collection and can be configured in four different ways, allowing you to combine the characteristics of lava stone cooking with the characteristics of a smooth grill in a single barbecue. Clas 55 is the smallest model of the collection and is only available with the ribbed cooktop operating with lava stone. Accessories that make the cooking experience practical and enjoyable. 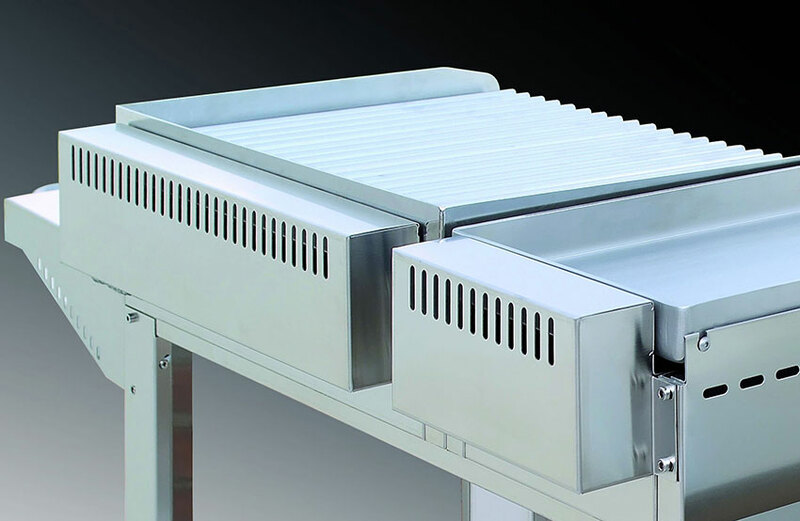 Equipped with adjustable feet, Clas can be placed on any type of support surface and can also be mounted on a special open or closed trolley equipped with two side shelves and a bottom shelf for holding the gas canister. 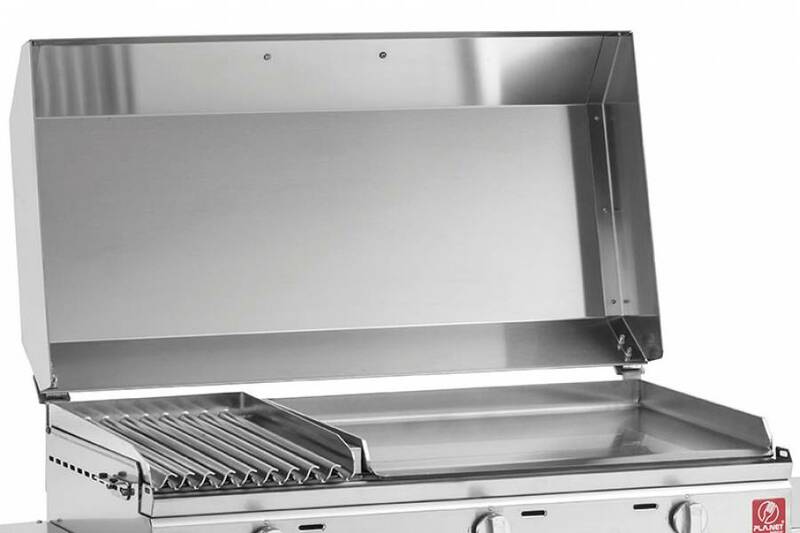 A common feature of the PLA.NET products is also confirmed with the Clas lava stone barbecue which is the fact that it can be customised using accessories in AISI 304 stainless steel such as splash guard, lid, wind diverter, drip tray, protective sheet and side support for cutlery. 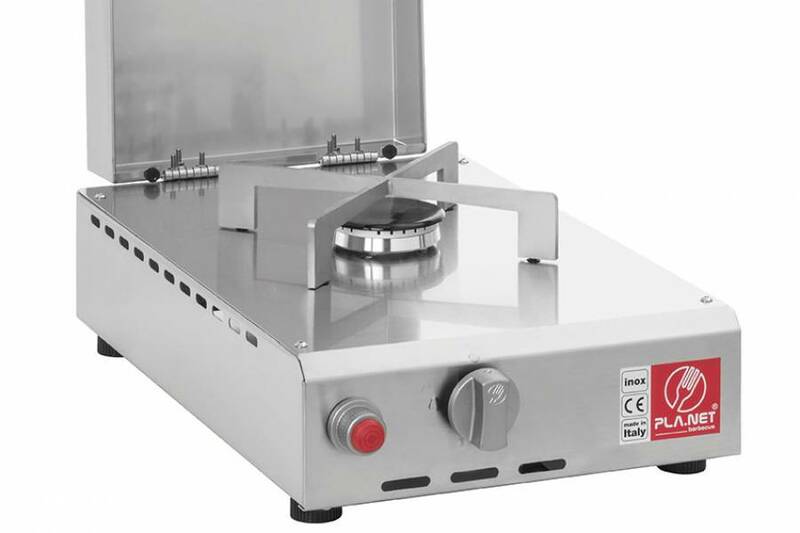 In order to always have a complete cooking station at hand, two 4kw or 1.75 kw gas burners in AISI 304 stainless steel are also available. To complete the range, this lava stone barbecue can be accessorised with professional stainless steel utensils, which are very resistant and useful for cooking such as a knife, spatula, carving fork and practical tongs to turn the food on the ribbed surface. Accessories for lava stone barbecue. 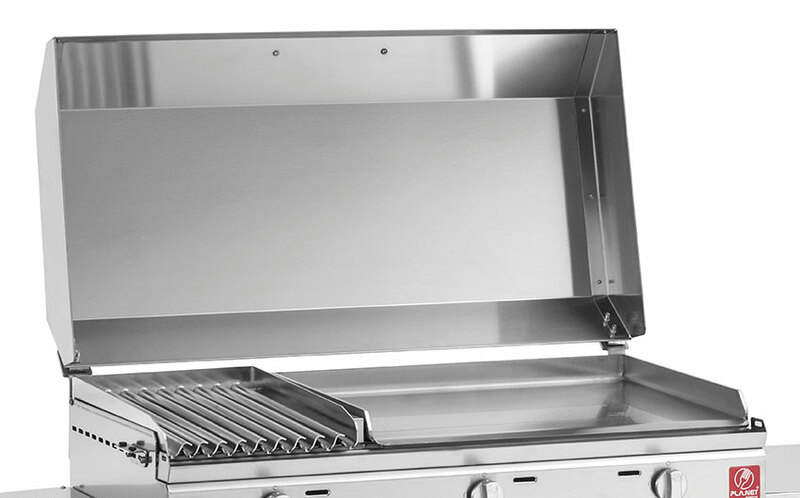 Clas is the ideal alternative to traditional barbecues with much faster ignition, start up and cooking times because the fire underneath is immediate and fed by a practical fuel, like gas. The gas barbecue is powered by butane-propane liquid gas in canisters or methane gas, with CE certification (Europe). 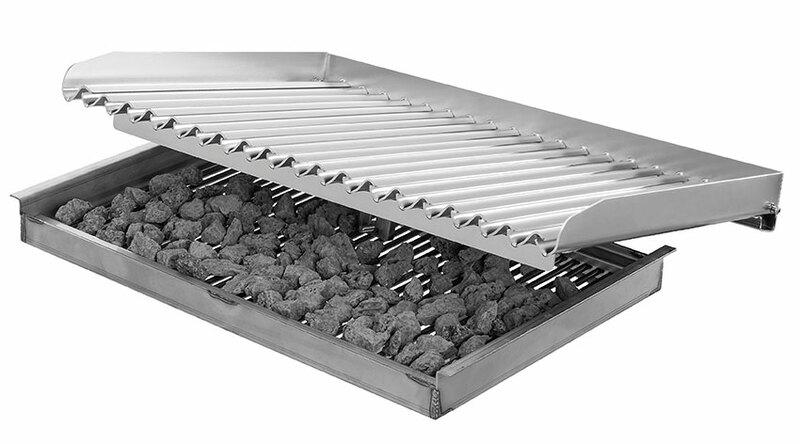 All the products manufactured by PLA.NET Barbecue are designed to ensure low gas consumption by limiting heat dispersion because the burner is located inside a combustion chamber and the flame directly heats the lava stone. The hot air that is created in the combustion chamber is discharged through an opening located on the back of the cooktop. The piezo ignition is powered by a normal battery; simply press the red button and turn the gas knob. 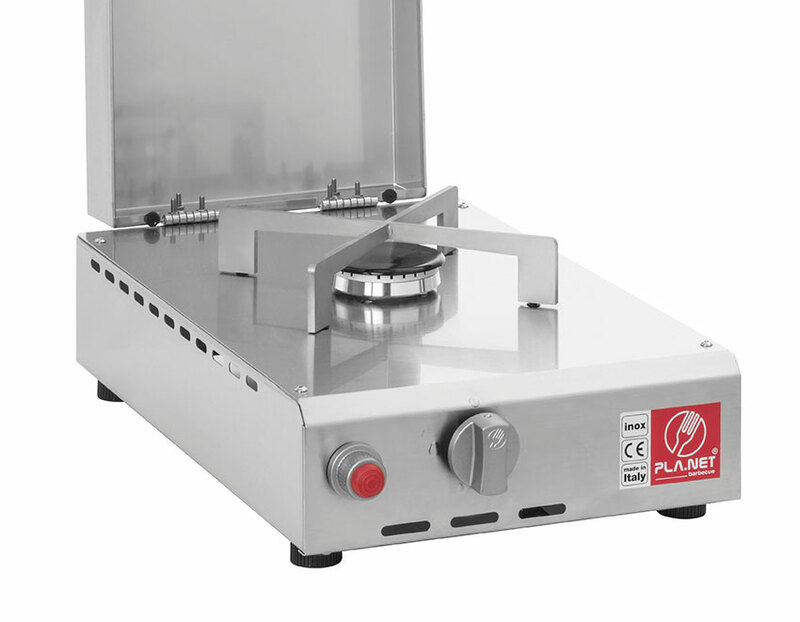 Called Plancha in Spain and France or Teppanyaki in Japan, the Pla.net cooktop is not a traditional barbecue, but a gas or electric powered stainless steel surface that can be used outdoors and reaches temperature quickly, for healthy and tasty cooking, without smoke and without harming the environment.